MEDWAY — The tomato plants needed pruning. The squash and cucumbers needed to be loaded into a van. The lettuce, carrots, and peppers needed to be harvested for the next day’s farmers’ market. Brittany Sidway Overshiner rattled off her to-do list energetically as the summer sun beat down on the Medway Community Farm. 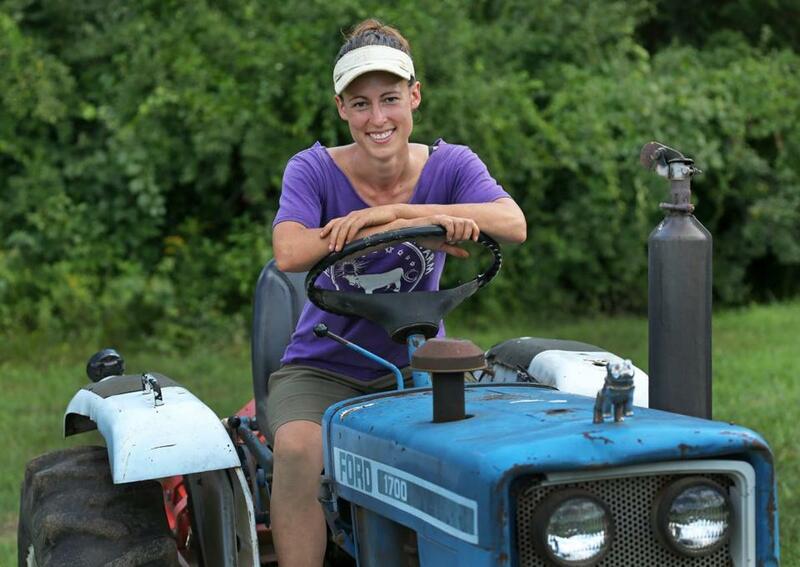 For the 30-year-old novice farmer, it is all a labor of love. “It’s a lot of fun. I don’t know how you could try it and not like it,” she said. Overshiner is part of a wave of new farmers who appear to be stabilizing the state’s farming industry after years of decline. The acreage of land farmed has ticked upward slightly from 2002 to 2012, rising 1 percent to 523,517. Meanwhile, the number of farms jumped 28 percent, or 1,680 farms, to 7,755, according to data from the federal Census of Agriculture. Unlike many US states, Massachusetts has never been known for large swaths of farmland. Instead, it has smaller farms, and those have shrunk in recent years. The average size of a Massachusetts farm was 68 acres in 2012, down from 85 acres in 2002. Experts say the new, smaller farms are appearing because there’s more demand for local food, which is viewed as tastier, healthier, more environmentally friendly, and better for the local economy. With increased demand and the resulting higher prices, farmers can make more money from smaller plots of land. 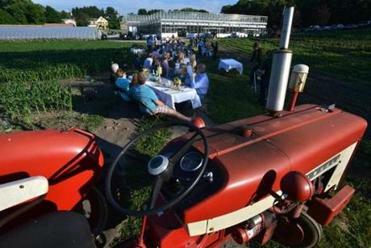 “In the last few decades, interest in local food has spurred growth in people getting into farming on smaller commercial scales,” said Brian Donahue, a professor at Brandeis University who studies New England farm history. Another indicator of the changes in the state’s agriculture industry: The number of Massachusetts farms offering to sell their products directly to consumers — retail rather than wholesale —increased by nearly a third, from 1,659 in 2007 to 2,206 in 2012, according to the Census of Agriculture. Farmers do this through community-supported agriculture programs, farmers markets, and farm stands. During the same period, farm operators grew more self-sufficient — the number of farmers whose principal occupation was farming grew by 5 percent, from 3,688 to 3,878. The land has provided sustenance in Massachusetts since before the Pilgrims landed in Plymouth. Farms spread across the terrain as colonists arrived and the population swelled, with the agriculture industry peaking around the turn of the 20th century. But then the industry declined. Cheap energy made large-scale irrigation possible and the long-distance shipment of farm products by trucks and planes. Massachusetts growers found themselves competing not with the farm down the road, but with behemoth establishments in Florida, California, or Washington, said Donahue. “All that undercut vegetable and fruit production closer to cities on the East Coast. That went down slowly up until World War II and rapidly afterwards,” he said. The rise of the car and the suburbanization of the Boston, Worcester, and Springfield regions also led to rising land values, pushing out some farmers, said Donahue. The way of life for thousands of Massachusetts families ceased to be. 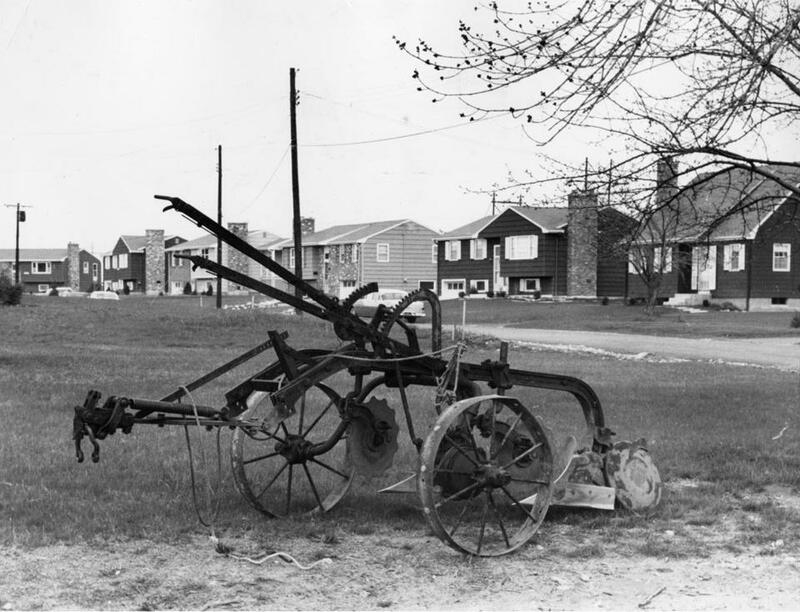 This plow, pictured in 1961, once tilled fields where houses now stand in Concord. Now the industry may be finding its footing with the help of a new species that has arrived on the scene — the locavores. Locavores aim to eat produce, meats, and dairy produced locally. Some maintain that leafy kale, creamy cheeses, or McIntosh apples from the farm down the road have fresher tastes and boast more nutrients. Others worry about the environmental impact of transporting produce long distances on trucks that spew greenhouse gases. Restaurants have jumped on the bandwagon, touting their use of local foods. “Chefs wanted to buy directly from farmers because the food tasted better,” said Barbara Zheutlin, executive director of Berkshire Grown, a “Buy Local” organization, adding that Berkshire County chefs pioneered the farm-to-table movement, a trend in the restaurant industry of building seasonal menus around fresh local produce, meat, and fish. Zheutlin also argues that farmers are good for the local economy. Richard Bonanno, president of the Massachusetts Farm Bureau Federation, said many old farms can be readily split up because their acreage is already divided into several parcels instead of one large field. The newer farmers do not have the equipment, labor, or financial resources to tackle larger plots, so retiring farmers are both selling and leasing out pieces of their land to the beginners, he said. Harvest time at Medway Community Farms, a vegetable farm in Medway. Amelia Conklin, 29, went to George Washington University and studied international development but found herself disillusioned by the politics of the Beltway. “I was looking for something that felt more authentic, grounding, and fulfilling,” Conklin said. She found it during a stint in the Peace Corps in Paraguay. Working with multiple generations of farmers in a small community, Conklin realized she had that experience waiting for her back home, where her family had produced dairy for generations in Berkshire County. “It was important for me to see that model and experience firsthand the benefit and the joys.” said Conklin, who is now in her third year of running Sky View Farm, a 50-acre farm in Sheffield that produces meat. Seeing a variety of benefits, some towns have joined in the nascent farm revival, moving to preserve open space for agricultural use, and setting up community farms like the Medway farm where Overshiner works. Overshiner said her desire to farm was born in the classroom. She studied environmental science at Northeastern University, and one seminar on eating and the environment triggered a passion. Overshiner took over the farm in 2010. That year, she also met her now-husband Kevin. At the time, Overshiner was so busy at the farm that Kevin would come and help her out in order to spend time together. During that time, Kevin, who had just graduated from Emerson College with a degree in audio and sound engineering, “caught the bug,” Overshiner said. Brittany Sidway Overshiner of Medway Community Farms. Catherine Cloutier can be reached at catherine.cloutier@globe.com. Follow her on Twitter @cmcloutier.